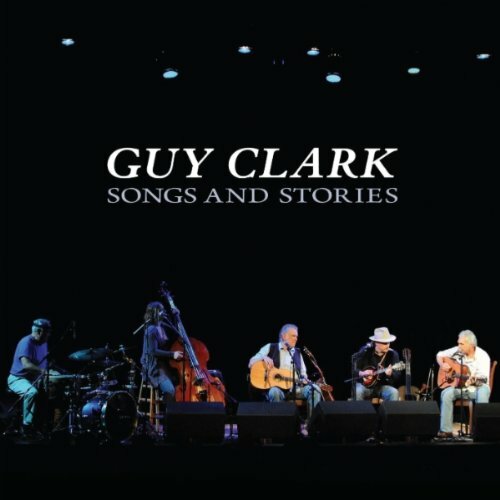 Guy Clark’s career has played out a movie, he started out in the hills of Texas with a guitar and some songs, now almost 40 years later he’s still releasing albums while many of the stars that he wrote songs for have gone by the wayside. Obviously, Clark is getting up in age as you would expect someone with a 40 year career would and his aged, wisdom giving demeanor on Stories and Songs fits his music faultlessly. The album flows like a stream and imitates the intimacy that a Guy Clark concert emits. The transcript of the album would read like an episode of Storytellers with Clark telling, often times hilarious stories in between songs. Overall this album is a good for Clark fans and fans of Americana music but honestly if you aren’t a fan then Songs and Stories will probably miss the target. Clark is an amazing musician and is a legend, but just not for everyone. If you enjoy the music that people like Emmylou Harris, Steve Earle and Ricky Scaggs put out then you should check this record out because you can hear Clark’s influence in their distinct sounds.